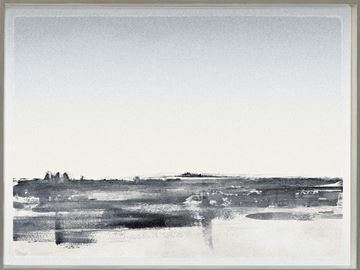 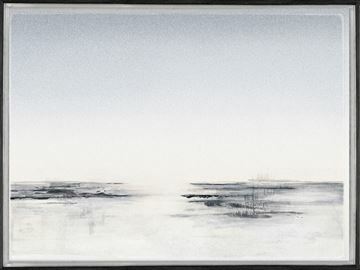 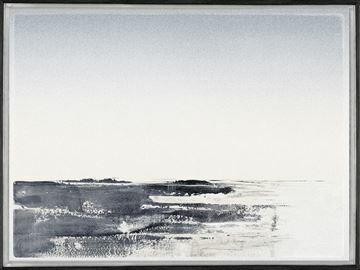 Minimalist landscapes with hand applied silver leaf powder. 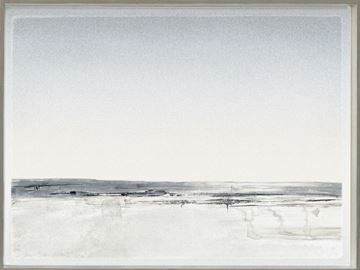 Gayle Harismowich has created gorgeous painterly, minimal landscapes overlaid with a subtle application of silver to create a piece that shimmers in the light. Each is framed in a grey washed profile with silver inner, angled lip.